cliexa’s Rheumatoid Arthritis App scores as the 2nd best RA app out of more than 900 Tested. cliexa-RA, Cliexa’s rheumatoid arthritis app, has been scored as the 2nd best RA app among 19 best apps selected from 900+ apps to NIH research. 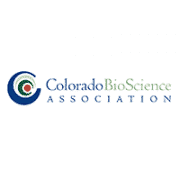 Read more at Colorado BioScience Association website.